Tramadol is a popular synthetic opiate-like medication which is used to treat moderate to sever pain in it’s users, and while it is substantially weaker than some of the most most popular painkillers, people are still turning to Tramadol for opiate withdrawal symptoms relief. While Tramadol is not derived from the opium poppy plant, and is completely man made, it’s opiate-like effects are caused by it’s ability to bind with the same receptors that opioid analgesic drugs do, such as morphine and hydrocodone. Although Tramadol is not currently registered as a controlled substance, it’s mild opiate-like effects have been helping people kick their opiate addictions for a long time. Thanks to it’s ability to mock the effects of a real opiate addiction, Tramadol is popular among those who want to treat their opiate addictions, while relieving some of the most common withdrawal symptoms including insomnia, anxiety, aching muscles, depression, diarrhea, nausea and fatigue. The results can vary from person to person, but the overall reception for the drug is generally positive. Another benefit of using Tramadol for opiate withdrawal, is it’s ability to enhance the mood of the user, by boosting the amount of mood-enhancing chemicals in the brain. Depression is one of the most common opiate withdrawal symptoms, but with proper use of Tramadol, regular users can experience an uplifting mood, caused by the drugs ability to inhibit the re-uptake of chemicals such as serotonin, and nor-epinephrine, which are responsible for increasing your energy, and general happiness. Several studies conducted on the effectiveness of certain dosages of Tramadol have determined that the relief you can expect from Tramadol is directly correlated with the amount you take. For example, a smaller dose of Tramadol will have a modest degree of relief, where as a larger dose would result in a higher degree of relief. The amount of Tramadol required will vary from person to person, but from a study published by the University of Kentucky, the lower end of the spectrum for mild symptom relief was 200 mg, where as the amount required for a higher degree of relief was 600 mg. If you have any doubts about how much you will require for opiate withdrawal relief, then speak to a medical professional. However, starting small, and increasing the amount accordingly is always a good method for determining your ideal dosage amount. Please keep in mind that Tramadol is not short of risks, and abusing the substance can land you in serious trouble, so it is recommended that you always take the least amount as possible. 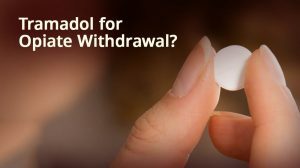 Is Tramadol Safe For Opiate Withdrawal? Tramadol has been proven effective for lessening the pain associated with opiate withdrawal, but it does not come without it’s own risks. Tramadol can be highly addictive when taken in high amounts, and taking too much can often lead to further withdrawal symptoms which can be just as hard to kick, as the ones you were originally fighting. Not only is Tramadol potentially addictive, it is also toxic in high doses, and can lead to overdose if the substance is abused. 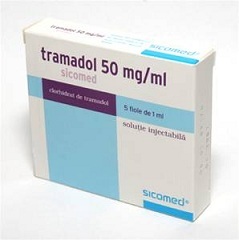 Although Tramadol can be dangerous in high doses, it is not guaranteed to work for everybody, so depending on your own physiological uniqueness, you may not feel any benefits from taking this substance. If you are interested in using Tramadol for opiate withdrawal, then do so at your own risk. While it’s ability to lessen the effects of withdrawal symptoms is tempting, the chance of developing another addiction, and the increased risk of overdosing is not something to be taken lightly. Always speak to your doctor before, during and after using Tramadol.